Run by husband and wife team Patrick and Angelina Montague, Monty’s story is both culturally and culinarily inspiring. Patrick, originally from Jamaica, and Angelina, from Barnstaple, met in London and settled in north Devon to raise a family. 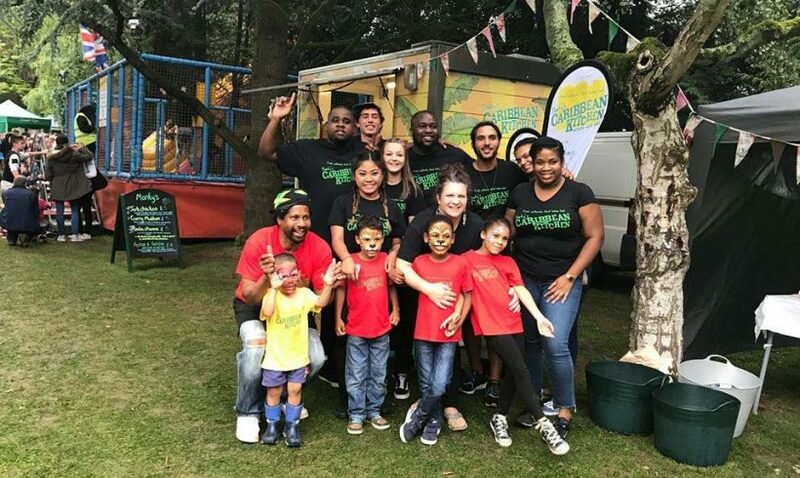 Realising that they were unable to buy the food they loved, and with friends and family requesting Caribbean-inspired dishes, they embarked on their food adventure. 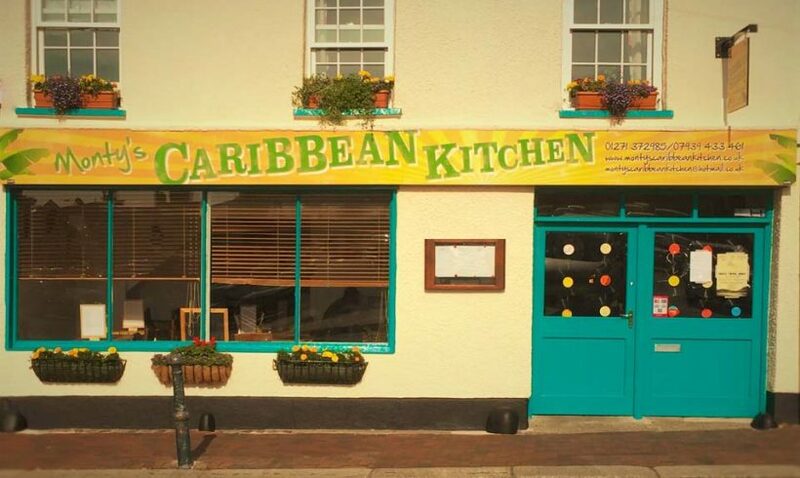 What began as Monty’s mobile food stall visiting festivals and parties has now evolved into a well-established Caribbean restaurant, trading in Barnstaple town centre since 2014. 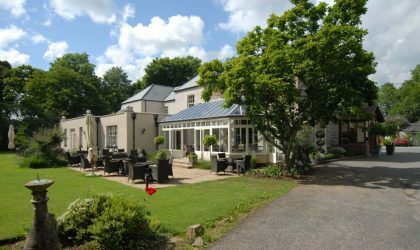 You can feel Monty’s relaxed groove as soon as you enter. Flags from West Indies nations adorn the ceiling and are complemented by tropical-inspired wall art. Reggae records hang from windows and walls and provide the subtle foot-tapping background beat for diners. 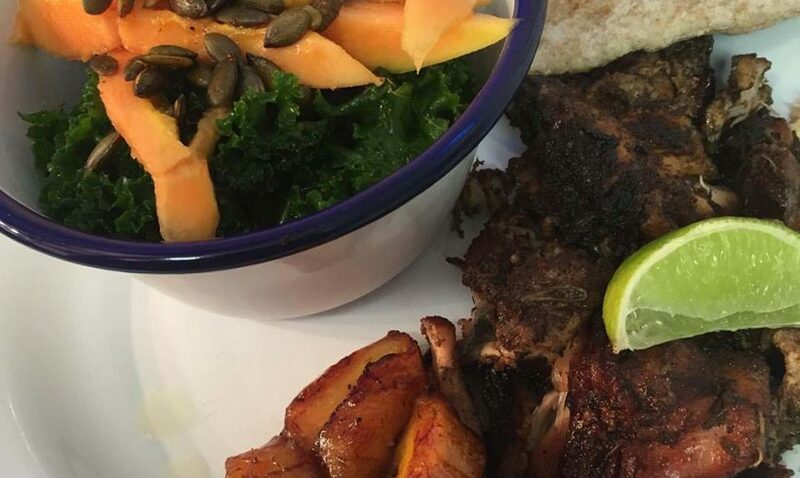 Monty’s serves everything you would want to find in a Caribbean restaurant. Well-known dishes like jerk chicken and jerk pork burst with flavour and are served with homemade coconut and lime coleslaw, pineapple salsa and a choice of rice and peas or sweet potato wedges. 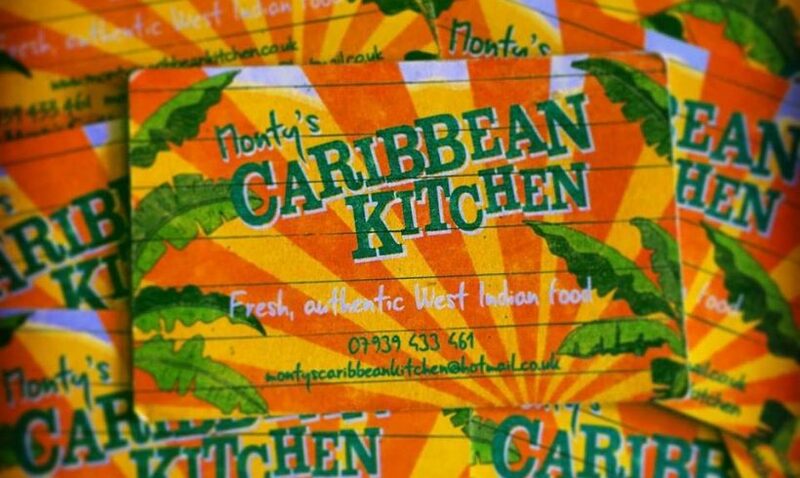 Monty’s favourites such as ackee and saltfish (the national dish of Jamaica), curried goat or mutton, and coconut prawn, allow diners to get a real taste of Caribbean cuisine. 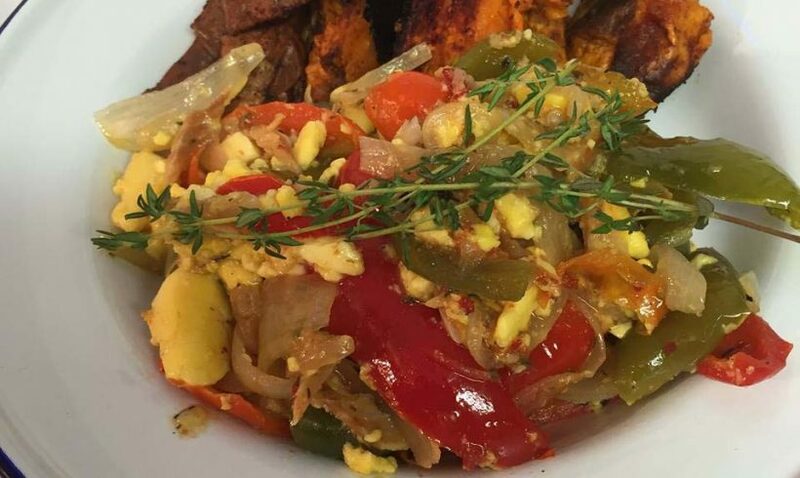 Vegans will be dancing a gleeful Jamaican Tambu because a Rastafarian diet (known as “ital” food – a take on the word “vital”) is vegan and free from preservatives and processed ingredients. With generously portioned dishes like Rasta Channa, Vegetable Rundown, and an Ital Plate, even the strictest carnivores could be converted. As for drinks – if you don’t fancy rum but still want the punch, go for Monty’s ital carrot juice, made from freshly squeezed carrots supercharged with ginger and a hint of lime. 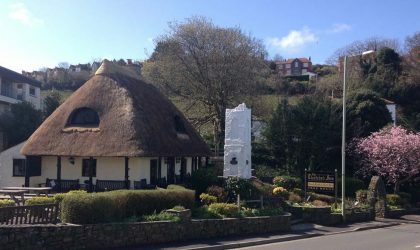 There is a definite sunshine vibe at Monty’s, and with so much West Indian food choice this is a place you will definitely revisit. We did, for lunch and dinner (on the same day) – yeah man!